We create fully responsive and mobile friendly websites and web applications. Our custom built solutions offer the latest technologies, code quality, and advanced software development practices and standards for our clients. We can help create your online business solution, website marketing campaigns, and increase your organic search engine traffic with our highly successful Search Engine Optimization solutions. Get started on your next web project, contact us today! We offer free consultation. Our friendly developers will gather your requirements and offer a robust solution and offer a competitive Quote for your project. To help your company with your web development needs and provide a technical leadership to your website. Our object is to help bring your website project to life the way you want it to be. We help you achieve your web development goals with our advanced knowledge and skill set of web application development. Our technical solutions are a combination of dedicated project deliverables and project management services. We write the website development code for your web project and conduct all the software development implementation processes of the website from start to finish. We manage your website project and the ongoing software development lifecycle. We help provide the technical solutions to execute, build, and deliver your website with quality assurance and in an agile scrum environment. We are a professional web development company with over 15 years of web development experience. We not only have been providing great web development services in a B2B context, but we also have our own interests and internet properties that we actively support. This provides our clients with a company that is constantly delivering great web development services constantly. Since we need great web development skills for our own platform, we can transfer and deliver our services to our clients. We will provide your company with what your company needs for success, with adherence to code quality, best practices, and great software development professionals ready to tackle any project. Where do you do Development? 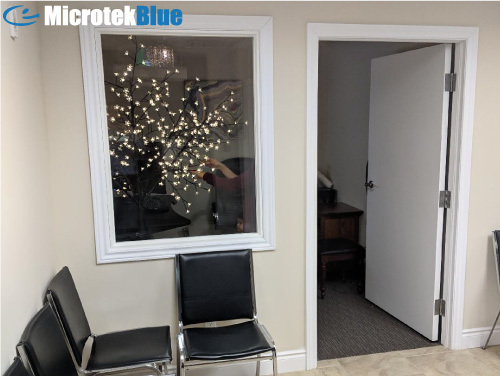 At MicrotekBlue Inc. all our software engineering development happens at our headquarters, located in Guelph, Ontario, Canada. Do you Outsource Client Projects Overseas? We do NOT outsource any software projects overseas at all. All our software development takes place locally, in-house, and in Canada. We provide you with a Made in Canada Guarantee! How Long have you been Making Websites? Since 2008, MicrotekBlue Inc has been creating advanced websites, web application, and providing SEO services, to Small Businesses, Medium-Sized, and Large Enterprise companies. No project is too small or too big. Get in touch for a free project quote! Do you provide Implementation Services? Yes, MicrotekBlue Inc. is dedicated to our Implementation Partnerships. We provide our Partners a complete end-2-end software development life cycle service including a full engineering team, ready to take on your project in-house and provide your company the best implemented software development services, allowing you to entrust all the software development and engineering to us, as your trusted Implementation Partner. We deliver your project with a deadline, and authentically developed in-house at our offices located in Ontario, Canada. Contact us today to discuss your project! We provide free consultation and no obligation quotes. Do you provide Maintenance Services After a Project is completed? We do! We will never leave our investment, our clients, to hang and dry. When your project needs updating and general maintenance, our team is here to provide the support you need, when you need it, with quality assurance, and our clients receive detailed explanations, professional consulting, and technical advice for free, for being our valuable clients.